Around 3:30 p.m. on June 1st — a few hours before Johan Santana threw the first no-hitter in Mets’ history — I stood on the warning track in foul ground at Citi Field, just toward the right-field side of the first base, milling about. I knew Carlos Beltran, in his first trip back to Flushing since his departure last July, would address the media at some point, and because the producer who usually keeps me in the loop on these things had that day off, I didn’t know when. So I took that and the lack of other pressing responsibilities as an excuse to stand near the Mets’ dugout and see what I could see. There was Josh Thole, returning to the club after a stint on the disabled list for a concussion, assuring a couple of stray media that he felt great. There was Elvin Ramirez, visiting the stadium for the first time as a member of a Major League club, introducing himself to teammates, getting acclimated. There was Ruben Tejada, running and skipping and hopping on the outfield grass for Terry Collins and Ray Ramirez. At some point, R.A. Dickey and Mike Nickeas took to deep right field where Dickey long-tossed knuckleballs to the enthusiastic catcher. In front of a cadre of smiling coaches, Dickey’s throws fluttered and danced and darted and dove and cut and sliced, sometimes all on one toss. Some appeared to freeze in mid-air before plummeting — Wile E. Coyote off the cliff. Some looked like they somehow actually shot upwards in flight, as if propelled by some second force after Dickey’s fingertips. From a distance, all except the reserved Dickey appeared delighted. It was delightful. Even knowing what I do about knuckleballs, I found myself subconsciously searching the air for strings, evidence of fraud. How could this possibly just be air currents? How could a baseball move that way? How could anything? For a lifelong baseball fan like myself, the best thing among many great things about this job is the up-close appreciation it gives me of just how phenomenally good Major League Baseball players are at playing baseball. 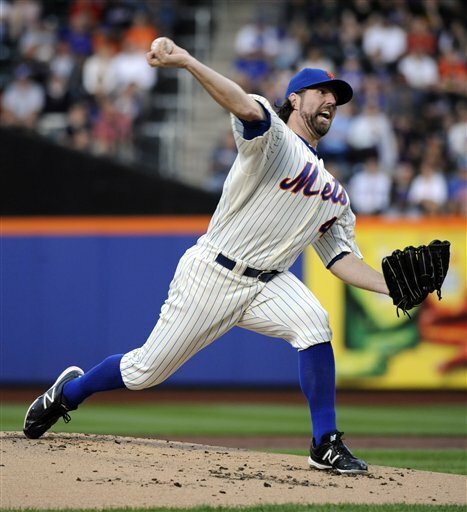 And now R.A. Dickey, the league’s only knuckleballer, is performing as its very best pitcher. Even his off-day workouts are something spectacular to watch. This guy, Dickey, who endured sexual abuse as a child, who starred with his fastball in college despite his lack of an ulnar collateral ligament, who lost his first-round signing bonus but made a go of it anyway, who once considered suicide, who abandoned conventional pitching in 2005, who loves Star Wars and Hemingway and appreciates Havarti cheese, now leads the Majors in wins, ERA, strikeouts, WHIP, and complete games. It’s a series of odd angles and seemingly impossible turns crazy enough to make his knuckleball look mundane. What’s happening now, every fifth day in 2012, is something special. Enjoy this.